Hey, it's been a long time since our last newsletter. That's why we're going to need your help to get us back on the starboard tack. We want you to have this newsletter - that is if you want it. If you don't please let us know by mail, e-mail or phone. You may know of someone else who would like to receive it. Give us their name and address or have them call us and we'll do the rest. Please look in the lower left hand corner of the label addressed to you and see if there is a P or O printed there. If you are the owner of a boat you have purchased from us, you should have an O printed there. Please call us if you don't, and let us know which boat you own. We intend to publish this newsletter periodically, when the mood strikes us or when we collect enough material to make it worthwhile. This brings us to another subject; please send us your account of any voyage, outing or sailing experience you may have had. Test your writing skills, we will be glad to edit and publish your story. It's fun to see your own writing in print. This is a very good way to find out where other people are sailing and maybe learn something from their experience. We arrived at the campground in our motor home and set up camp a day earlier than usual. The wonderful experience at Cedar Key is usually somewhat marred by the launching and retrieving of your boat on the busy days of Saturday and Sunday. We try to beat that hectic scene by going early and staying late. This year we arrived on Thursday, launched on Friday, then pulled out and left on Monday. This year, we found we were not alone: the ramps were busy those days as well, but all went well. Most of the traffic on those days was people coming to the Small Boat Association Meet with the same idea we had. The weather was great and we had a few old friends in the campground with us as well as some new friends. Terry Polling and his wife had their trailer around the corner from us and threw a little party for all the sailors - great fun. The SeaPearl stories were flying hot and heavy, bringing back old times for most of us and bringing some heavy anticipation to the newer folks. It's amazing how the wind strength rises and how much bigger the seas get each year a story is told. Each tale is designed to top the last. Sammye and I came from New Albany Indiana, before we moved to Florida. This is right across the river from Louisville Kentucky, we had to watch the Kentucky Derby Saturday evening. This year we watched it from a crowded room with our host Jim Leet and most of the Small Boat gang. Jim cooked about a million hamburgers, his wife Jan cooked some beans and we brought some shrimp for a good meal with fine entertainment: my horse lost again. Living that near the Derby never enticed us to battle the crowds in person, but we always got a kick out of betting on it and watching our horse fade from the lead. We sailed to snake key in brisk winds Friday morning and back in light winds that afternoon. Ron Hoddinott sailed his SeaPearl up the coast from Crystal River and joined the group Saturday. There was a myriad of boats on Atsena that morning along with some lively conversation. We had lunch and a beer then made the circuit from Atsena Otie to Snake and on to North Key then back to Cedar. The race to Snake Key from there ended with several Pearls struggling to reach shore in nearly non-existent winds, which were further blanketed by the island. Those SeaPearl TRI's are fast. More of the same Sunday and a short sail Monday capped off a great sailing weekend. Don't miss Cedar Key in 2003; it's always the first weekend in May which is the 3rd and 4th. Don't forget to come early and stay late. This story has been collecting dust since just after our last newsletter of October 1999. So it's at least two years old, but all I have. I looked out my bedroom window and couldn't see across the bayou: this is not all that unusual on a winter morning in Florida. The fog burns off in an hour or two at the most. I got out of bed, showered and went to my computer to check e-mails when the phone rang... It was Jim. "Hey Ron, what time you want to meet? You think this fog will burn off? The weatherman said it would." "It always does Jim. I'll meet you about ten o'clock at the shop. That should give us plenty of time." We were to meet the West Coast Trailer Sailors at Three Rooker Bar at eleven thirty and we had to pick up the SeaPearl 28 at the shop, rig it, launch it and sail out to Three Rooker. We might be a little late, but I wanted to let the fog burn off. The last time the Trailer Sailors scheduled a winter trip to Three Rooker, a strong front came through and only a few of us were able to make it there. The winds were too strong for those sailing up from Honeymoon Beach. Maybe that could have been an omen? The 28 trailer had a low tire and Jim fussed with it, then said, "The damn tire won't hold air. Can you run it up to Tire Kingdom? The spare is shot." I threw the tire in the Jeep and made a quick trip to the tire store. The fog still hadn't burned off when I returned. We decided to head to the launch ramp a check the fog there. With the breeze out of the North it should clear there first. We parked and rigged the Pearl and lo and behold the fog was lifting, just like I thought - from the North. "I still can't see Anclote Island," Jim remarked. "Yeah, that's unusual this time of day, but the Sun's burning it off. You can see to the end of the channel already." The 28 launched like a dream, the motor had started right away and we were cruising out the channel with Jim at the helm. I started hoisting the sails while Sammye and Jan were stowing our gear and preparing a snack. It was pleasant on the water with the motor off and the gentle breeze moving us well; the only interruption the occasional powerboat in a big hurry, oblivious of his noise and wake. We exited the channel and headed Southwest for Three Rooker, still unseen in the shifting fog bank. We were in about four feet of water on a beautiful beam reach moving at about four or five knots in the ten knot breeze. We could see Anclote Island, for brief periods, off our starboard quarter, as we made our way South towards Three Rooker. When you sail in an area with little or no fog, you rarely if ever take compass readings. You are always sailing to destinations that are in sight. I knew the approximate direction so we sailed a steady 210 degrees figuring that the fog would blow off soon and we would sight our destination. Ten minutes later Anclote faded from view and all of us, who had been looking to the West and South only, now scanned the full horizon. Nothing but fog in all directions. We were now in duck soup with visibility no more than 50 feet. Oh well, we'll just continue on course for a while . After a while I started to worry a little. Three Rooker Bar is not that big. It's a very narrow, about one mile long and very low to the water. It's a low water sand bar that built up in Elaine, the hurricane that parked fifty miles off the coast and battered it for several days. We were on a quartering course, which gave us a pretty small target. If we missed it - next stop Cuba, or if we miss that, maybe Ecuador. Not to worry; fog off the West Coast of Florida is not life threatening in a shallow draft vessel. You just sail East until you hit land, figure out where you are and follow the coast line to home. The biggest danger is an idiot in a powerboat who thinks he can see further than he can. We heard a couple but never saw them. With all that in mind and the afternoon fading away, we decide to pack it in and head back. That's when the trouble started. We talked it over and thought we had no chance in Hell of finding Marker One in this soup, so we decide to sail East and find Howard Park or Sunset beach, since we had no idea how far South we had come. It would be a simple matter of sailing North along the coast in shallow water to the Anclote channel, work our way over the spoil and motor in. Jim was absorbed in trout fishing while we drifted along on a dying breeze. I checked the time and figured we should see some sort of land soon - Howard Park if my dead reckoning was correct. A dark form took shape as the fog seemed to shift and give more visibility. Sammye said, "It's a boat." I recognized it then as a Mud Hen, "It's Nick, one of the Trailer Sailors." "Yeah," said Jim. "I bet he's heading home. I headed up to see if I could get within hailing distance and just then he melted into the fog not to be seen again. We later learned that he sailed that day with no compass but steered by his new GPS with just one waypoint - his living room - entered. He lived near the launch ramp at Sunset Beach and sailed to within 500 feet of the ramp. George Hilliker found landfall in Ozona, two towns south of Tarpon Springs. He had no compass or GPS. We were less than a mile south of the channel when we finally figured out where we were. Accompanied by several powerboats whose captains thought we knew what we were doing, we groped our way to the channel and motored in with the fog clearing as we approached the shore. I intend to carry a chart and compass at all times in the future; even if there's no fog in sight. There are two groups of active sailor's in Florida; the West Coast and East Coast Trailer Sailing Squadrons. For information on these groups call Ron Hoddinott at 727-391-7927 or visit their interesting web site at "http://www.ij.net/wctss/wctss/index.htm". There are lots of good photos on the web site, and links to other good sites. Ron puts out a very informative and colorful newsletter each month. Ron Hoddinott owns a SeaPearl 21 named Whisper and sails every month at scheduled events sponsored by WCTSS. The club welcomes any owner of a small trailerable boat. Their sail-ins vary from one to several days each, in various location in Florida. If you live in Florida or are just visiting with your sailboat, give Ron a call to get the schedule. They have a lot of fun with relaxed exploration, picnics and visits to some great restaurants. I am looking for a partner. A partner to help with the marketing could be helpful - even in a part-time situation. It might even work in a remote location, who knows? The Rob Roy Molds are up for sale as well as the SeaPearl 28 Molds. Both of these products create big problems in the production phase, requiring much more space than we have available. That is why I have decided to concentrate on the manufacture of the SeaPearl 21, TRI 21, and TRI Sport 21. Building these boats along with the brokerage, is a very promising business if well handled. If anyone reading this has any interest, or knows anyone who might be interested in getting involved in the sailboat business, please call Marine Concepts and ask for Jim. Ron Johnson, born and educated in New Albany Indiana, chose a career in lithography after high school. Ron's jobs have never interfered with his hobbies such as: fly fishing, water skiing, scuba diving, whitewater canoeing, and sailing, to mention a few. His hobby of sailing turned into his second career as a boat designer and builder. 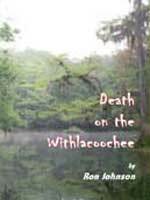 Canoeing introduced him to America's wild rivers and instilled in him a love for nature. "The beauty of our free flowing rivers is God's gift to America. We need to save that gift for our children." Sailing reinforced that respect for nature. "To be able to use the considerable forces of nature for your own pleasure without depleting them is a wonderful feeling." We have a number of used boats in our brokerage. We also sell re-furbished SeaPearls that leave here looking as good as a new one. Give us a call or visit our Web Site for a complete list (marine-concepts.com).